Powered by a single Vedeneyev M-14P, nine-cylinder radial piston engine with 360 horsepower, the aircraft is very response given an empty weight of just 998 kg and large controls surfaces. Capable of pulling over 7 G and pushing up to negative 5 G, it’s no wonder the Yak-52 has been popular with aerobatic teams around the world. 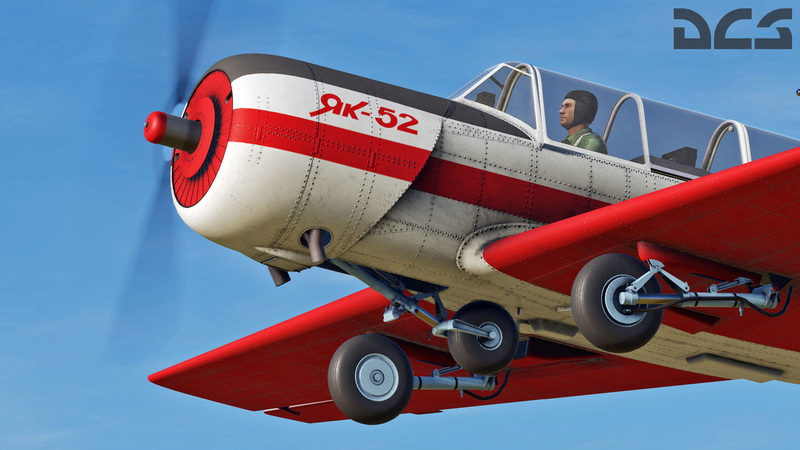 The DCS: Yak-52 provides a realistic pilot training progression from the Yak-52, to the L-39 jet trainer, to modern fighters like the MiG-29 and Su-27. Today we are pleased to release both the DCS: Normandy 1944 Map and the DCS: World War II Assets Pack to Steam as part of the DCS World Open Beta on Steam. Combined, these introduce our first World War II environment for DCS World, and they are fantastic products to have for your P-51D, Spitfire Mk.IX, Bf 109 K-4, and Fw 190 D-9. This a big step for us to create an authentic World War II combat environment for the most realistic World War II aircraft simulations available. In addition to purchasing the Normandy 1944 Map and World War II Assets Pack separately, we are also offering a bundle deal that consists of both with a 20% savings! The DCS: Normandy 1944 Map is centered on the World War II battlefield of Normandy, France and is specifically created to depict the period after the D-Day landings and the establishment of several allied airfields in Normandy to support the beachhead breakout in late June 1944. The map measures 267 x 348 kilometers and includes airfields in both Normandy and southern England. The map includes the famous D-Day landing beaches and the “Atlantic Wall”, rolling bocage fields of Normandy, large cities like Caen and Rouen, ports of Cherbourg and Le Havre, and 30 airfields. The map also includes multiple seasons and more detail and accuracy than any previous DCS World map by utilizing new map technologies. In addition to the Normandy 1944 Map and World War II Assets Pack, we are also releasing the first Spitfire campaign on Steam for the Normandy 1944 Map: Operation Epsom. Fly the legendary Spitfire LF Mk. IX over Normandy in June 1944 as the allies attempt to break out of the D-Day landing beachheads. Battle German forces in the air and on the ground as the allies push south over 12 missions south of the Juno and Gold landing beaches. The missions consist of a combination of armed reconnaissance, intercepts, and directed ground attacks. For this campaign, we teamed up with the greatly respected “Bunyap”, who has created an amazing level of detail and content for the briefings and historical background. All missions and flights in the campaign are based on actual missions down to the squadrons, targets, locations, times, weather, flak locations, etc. 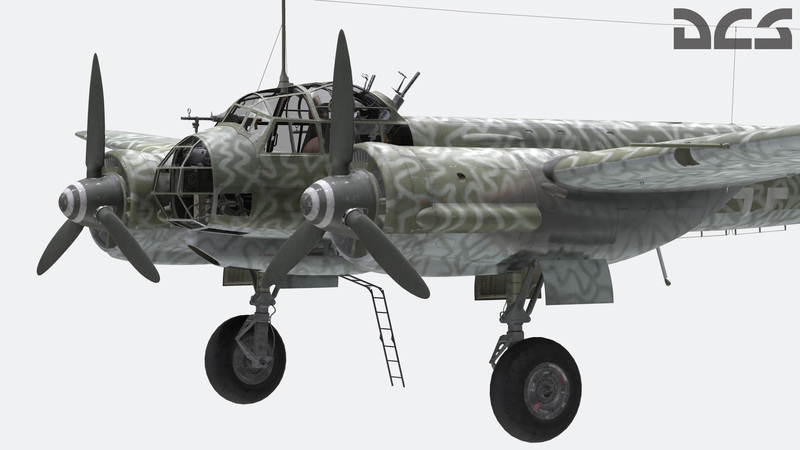 We believe this will be the most historically accurate portrayal of World War II air combat in a PC flight simulation. NOTE: DCS: Normandy 1944 Map, World War II Assets Pack and DCS: Spitfire LF Mk.IX are required to play this campaign. Starting today at 1500 GMT and lasting until 27 November at 0900 GMT, you can use your bonus points to save up to 60% on most DCS World store items! Please note that this is a bonus event and not a flat sale on all modules. You can read about the bonus program here. If you have available bonus points, you can apply them during the store checkout process. The Douglas C-47 Skytrain was a work horse for the allies in World War II and served as a troop and cargo transport. 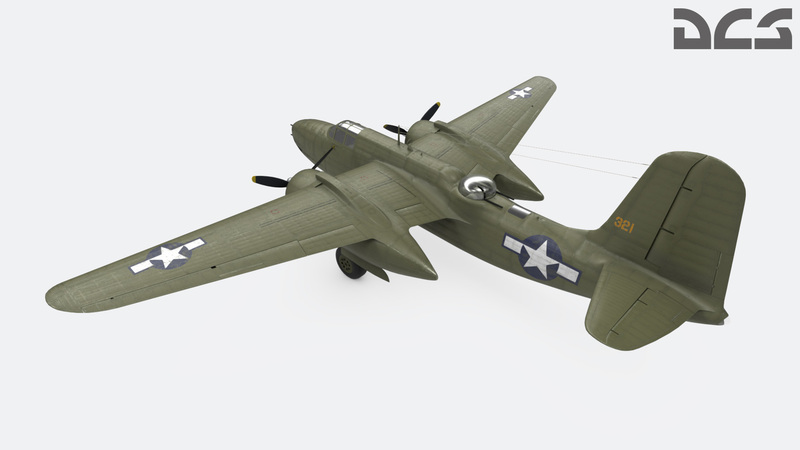 Also known by the nickname “Gooney Bird”, the C-47 was also instrumental in paratrooper operations.